We are helping to build a stronger healthcare system for the people of Cap-Haitien. 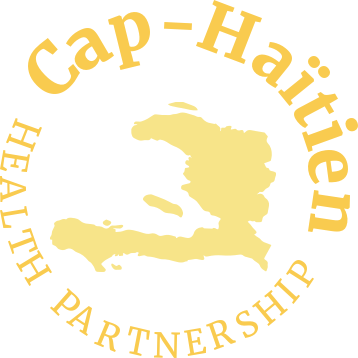 Konbit Sante Cap-Haitien Health Partnership is a 501(c)(3) not-for-profit corporation founded in the state of Maine. Since 2001, we have supported the development of a sustainable health system that meets the needs of the community in and near Cap-Haitien, the second-largest city in Haiti and a sister city to Portland, Maine. Our mission is to support the development of a sustainable health system to meet the needs of the Cap-Haitien community with maximum local direction and support. We view our Hatian colleagues as full and capable partners, and that by putting our heads together (tèt ansanm), we can make more progress than any of us working alone. Konbit Sante works directly with four Haitian health facilities: two hospitals and two health clinics. Together, these institutions provide care to over 300,000 people in greater Cap-Haitien. We envision a Haiti where the people of Cap-Haitien will have continuing and measurable improvements in health status. Konbit Sante affirms that all people have the right to health care regardless of personal means. Furthermore, people have a fundamental right to life and liberty. We believe in the dignity of all people and in human rights. To that end, we believe it is imperative to bear witness to, and advocate on behalf of, persons who suffer the indignity of misery. Konbit Sante seeks to understand the full context of our work, but will focus on, and capitalize on, the strengths and abilities of us and our Haitian and other partners. Konbit Sante operates in accordance with the highest ethical standards in all relationships with its Haitian partners, donors, and the community. Konbit Sante values the contributions of its volunteers, donors, and funders, and strives to be good stewards of these human and material assets, seeking the most benefit for the people of Cap-Haitien with all resources entrusted to us. Konbit Sante approaches our partnership with the people of Cap-Haitien with the understanding that each has much to learn from the other. We critically self-reflect by honestly examining our values, motivations, accomplishments, and failures. Konbit Sante understands that we are guests in Haiti, and that decisions about the health system there are the Haitians’ to make. Konbit Sante believes in the value of improving the public health system in Haiti, rather than developing a secondary or parallel system. While recognizing that we are ultimately all interdependent, Konbit Sante believes in promoting the empowerment of people to meet their own needs. Ultimately, success is measured by the degree that the health system is able to function and provide good care on its own. Konbit Sante believes that the primary focus of engaging U.S. health trainees in Haiti is unambiguously linked to addressing local health system needs. Konbit Sante maintains a strong focus on building local capacity and impact. We maintain a continuity of presence and maintenance of effort, and emphasize sustainability and follow-up to ensure that measures put in place are working. Konbit Sante promotes a “pull” system in which specific needed resources are identified and sought, rather than a “push” system in which resources are provided regardless of need. Konbit Sante considers the cost to the receiving institutions as well as the benefits. Outcomes are measured in terms of impact or benefit to the end beneficiary: the community. Konbit Sante is deeply grateful for the generous support we receive that makes our work possible. One of our core values is to recognize the contributions of our donors, funding organizations, volunteers, and staff. We strive to be a good steward of all resources entrusted to us, seeking the most benefit for the people of northern Haiti. With this in mind, our goal is to maintain open and transparent communication about our finances with all stakeholders.